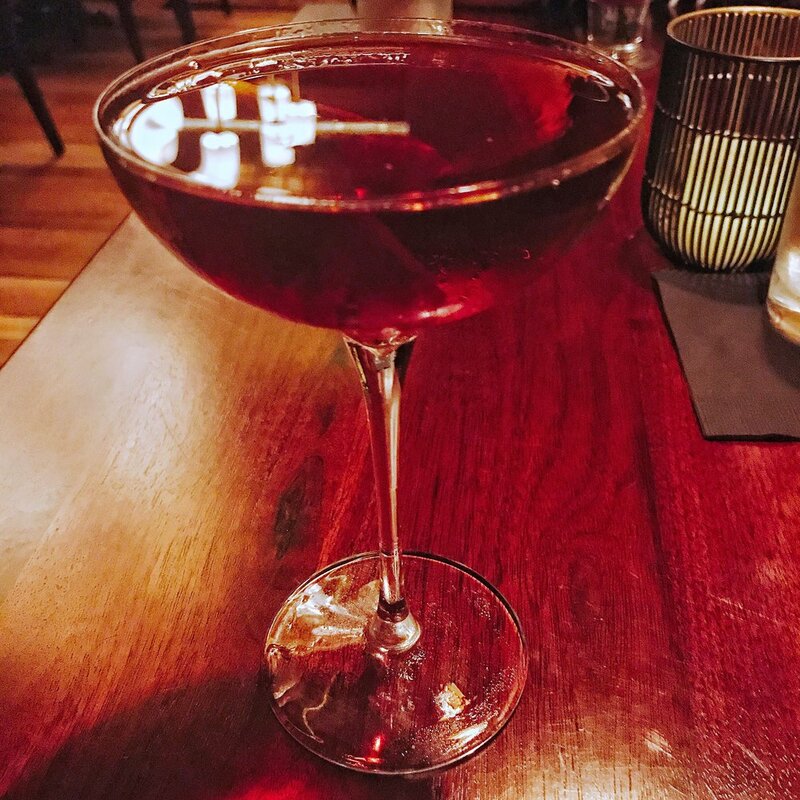 Dot Dot Dot opened opened up about a year ago with a goal in mind of taking the Charlotte drink scene to a new level, and that they did. This is a membership only club($10 per year) that prides themselves on providing excellent drinks and service, and they do it well. I had the pleasure of finally stopping in for a visit recently, and I must say I really enjoyed the vibe and the drinks. Once you arrive, you definitely get the back alley speakeasy feel as you park and approach the door. Make sure you sign up for the membership online prior to arriving and please read the house rules and primarily their dress code. Many people have left bad reviews for Dot Dot Dot simply because they apparently choose not to read them. No you cannot enter in your tank top and flip flops, sorry folks. I know North Carolina can be hot, but this is more of an upscale establishment and should be though of as such so you’ll have to dress appropriately. Upon entering, you are taken down a long, dim hallway which definitely adds to the secretive vibe. Once your actually inside, your met with a beautiful establishment with typically many patrons having drinks, food, and a great time. You won’t find people standing all over and around the bar here, which was nice. We were taken care of by Caroline, who was knowledgeable and really fun. She made several really good suggestions and she knew each drink in detail. Henry McKenna 10 year bourbon, Pedro Ximenez sherry, Amaro Montenegro, Drambuie, Peychaud’s bitters, served up. I really enjoyed this drink. It's very similar to a really good old fashioned, except the bourbon was not masked here and really came through well. Reyka Vodka, Sutler’s Gin, egg white, strawberry purée, lime. This drink had great presentation and the flower pedals are actually edible. I often think drinks that include puréed fruits are too sweet, but this one was well balanced. The strawberry flavor came through in a subtle manner that mixed well with the vodka and gin. And in case you’re wondering, flowers don’t really taste as good as they look, haha! Kentucky Bourbon, Carpano Bianco Vermouth, blueberry, ginger, lemon. This is a very Instagramable drink as well and was recommended by our waitress. The glass was taller than me!!! It tasted really good and is good for anyone wanting a light and refreshing drink and the crushed ice was a nice touch. Sailor Jerry Rum, orange curacao, lime juice, grilled pineapple, lemon bitters, nutmeg. A really tasty drink flavor wise. The pineapple comes through well so this is a great drink for those who want a drink on the fruity side. If you are a grilled pineapple fan, definitely try this drink. This drink just screams citrus & breach weather to help up keep the cold weather at bay(stay away fall)! Knob Creek Personal Selection bourbon, Islay Scotch, House blended sweet vermouth, hellfire bitters, pecan smoke, served short over ice. By far one of the coolest drinks in the House, the Hot Box is an experience. The drink is smoked in an actual hot box, and they bring the entire box to the table to unleash! Very Instagramable(See Here) and fun to experience as the bartender or waitress opens the box and the rush of smoke flows out. The drink itself was good also, but we all know this one is for the show! You can always tell when someone near you has order one as you get the great aromas of the pecan smoke. Dot Dot Dot will definitely be a go to spot for me when I want a great chill spot to have a drink or two. The attention to detail in their drinks, staff, and bar is amazing and I had a great experience here. The staff is knowledgeable and fun to be around. 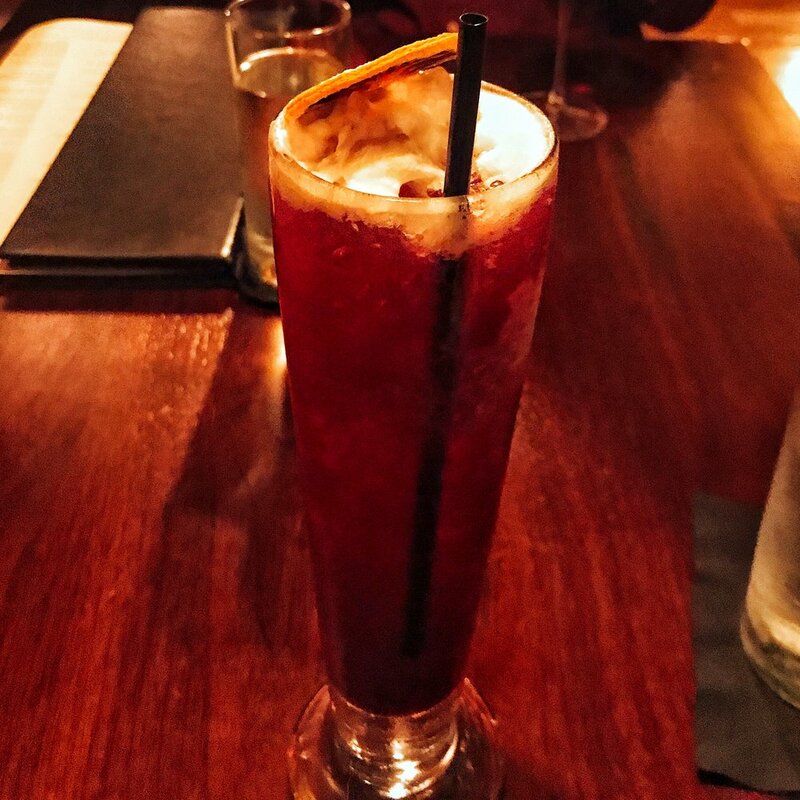 They have sort of gotten a bad rep on the internet due to people not reading the house rules and blaming the bar, but this is definitely a great establishment when you want amazing specialty cocktails.